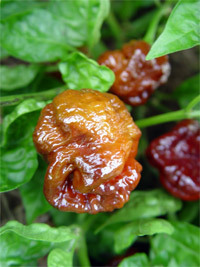 We offer Moruga Scorpion for sale as Pepper Plants, Pepper Seeds and Fresh Peppers. 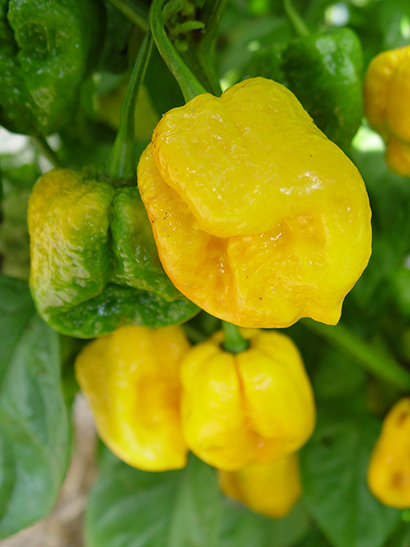 The Moruga Scorpion is another of the super hot peppers and was named in 2012 the "hottest pepper on the planet" by New Mexico State University, with an average heat level over 1.2 Million Scovilles. 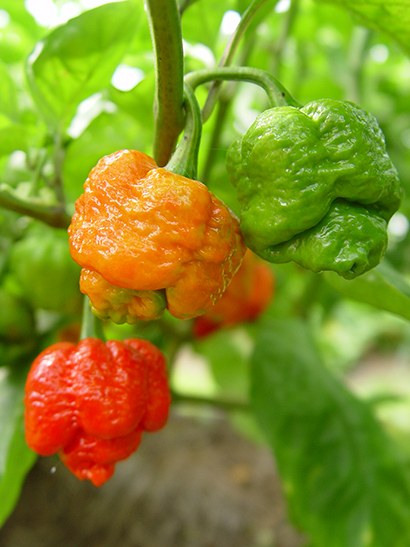 It joins an ever-expanding list of super hot peppers with heat levels near or over 1 Million Scoville Units. Now there are yellow and brown versions too.